What are Exposed Aggregate Driveways? Exposed Aggregate Driveway or more commonly known as aggregate driveways are highly durable driveways but unlike concrete ones, these tend to have the stone chips or gravels, whatever that is used in the concrete mix partially or half exposed in the finished product. A concrete driveway is relatively smoother and monotonous in design and looks whereas an exposed aggregate driveway has the option of adding colors and textures for a more eye-appealing visual and provides a lot more friction as compare to concrete driveways. And in the recent time, the demand for exposed aggregate driveways has gone up dramatically. The best thing about exposed aggregate driveways is its customizability. From patterns, colors (both subtle and bold), textures, one may do whatever they like according to their taste. On top of that, it allows one to choose from a range of materials like limestone, granite, basalts, and quartz, whatever that will add to the look and feel of the place. This gives one the ability to create their own new, unique, and beautiful designs and patterns to complement the looks and design of their home as they have the ability to blend in with any design naturally. Exposed aggregate driveways are not just appealing to the eye but are also highly durable and stable. They have concrete’s structural integrity that will have the capability to withstand any heavy traffic and can create a finish which looks as beautiful as any natural aggregate finish. They are durable and strong enough to withstand the any weight and both climatic and non-climatic factors without getting damaged or sinking in. Driveways are expected to be rugged and a kind of surface that provide better grip and friction. That is exactly what exposed aggregate driveways provide you with. Due to their half-exposed gravels and stone chips on the surface, they provide a very rugged and rough surface which gives the tires of the vehicles a good grip; therefore, the chances of your vehicle’s tyre slipping gets very less. 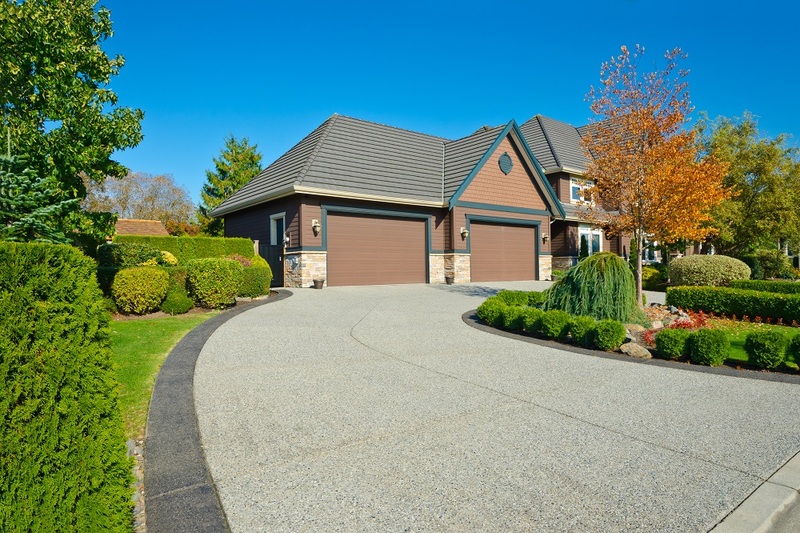 While concrete driveways are all polished and smoothened, they fail to provide better grip and friction. When it comes to maintenance and cleaning, exposed aggregate driveways require little to no attention. All that one needs to do is sealing it from time to time because, due to its rugged and exposed surface, it may wear off. But sealing it will prevent and slow down the wearing off process. For cleaning it, all that one needs to do is hose it down every once in a while. Exposed aggregate driveways usually cost you lesser than what other decorative concrete would cost you. Whatever the price and expenses it will cost you, rest assured, all of it will be worth it. After all, you get both the looks and the durability, all in one package. Whatever the price will be, all of it will be worth it. All in all, installing exposed aggregate driveways is the most practical of all solutions. It provides any desirable looks, while maintaining the feel of the house, and is sturdy as well to deal with heavy traffic; just perfect for a driveway. 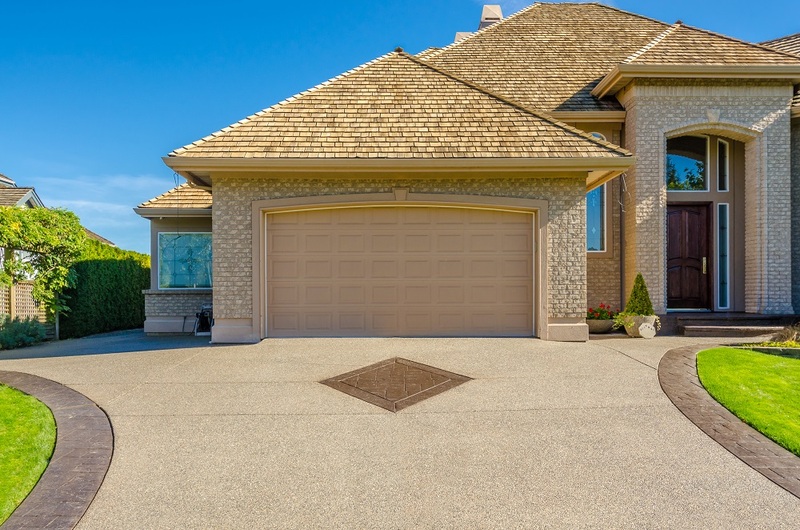 Therefore, in case you are confused on whether to go for exposed aggregate driveways or decide on something else, with the help of these 5 reasons, you can easily choose aggregate driveways without a second doubt.